Orange Caramel (오렌지 캬라멜) is a Sub-group of After School, and consists of 3 members: Raina, Nana, and Lizzy. Orange Caramel debuted on June 16, 2010, under Pledis Entertainment. – She was born in Ulsan, South Korea. – She has one older brother. – Her hobbies are singing and playing the piano. She was a barista at a cafe called The Coffee Bean & Tea Leaf. She has received endorsements from companies like Samantha Thavasa and Baskin Robbins. Her birth name name is Oh Hye-rin. 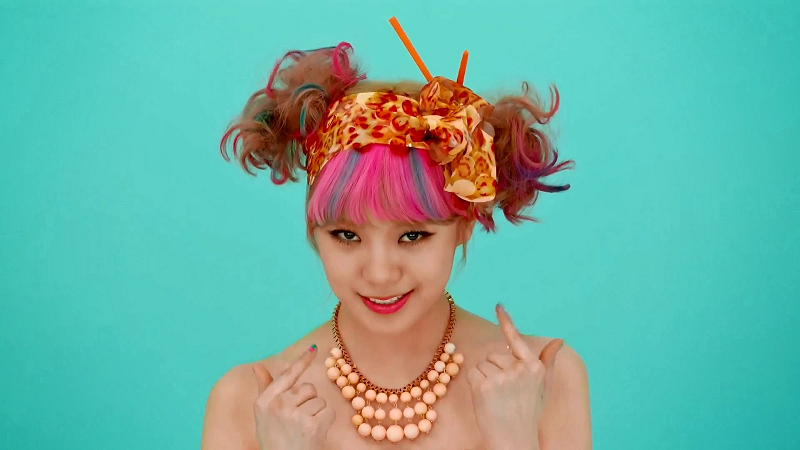 She is bandmates with Nana in Orange Caramel. # Nana trained for 1 year in Pledis Ent. # Nana was the maknae before Lizzy joined After School. # Nana likes modern guys, the best would be those who are suitable at wearing different kind of styles. – Education: Kyunggi Girls High School. – Her hobbies are listening to music, playing NDS games, arts & crafts, and eating snacks. Before joining After School in early 2010, she was a backup dancer for singer Son Dam Bi. She and hip hop artist Andup recorded an album titled Cupcake Project. She grew up in Busan, South Korea, and later studied music at Kyung Hee University. In 2012, she and Han Sunhwa became members of the all-female vocal ensemble Mystic White. EXO Abs – Which EXO Members Have The Best Abs? What Is Actor Jo In-sung Doing Now? Here Is the Latest News!